Inbound DNAT support: Inbound traffic to the firewall public IP address is translated to internal IP addresses. Let’s start this article by creating a new Resource Group. This Resource Group contains all the resources for this guide. 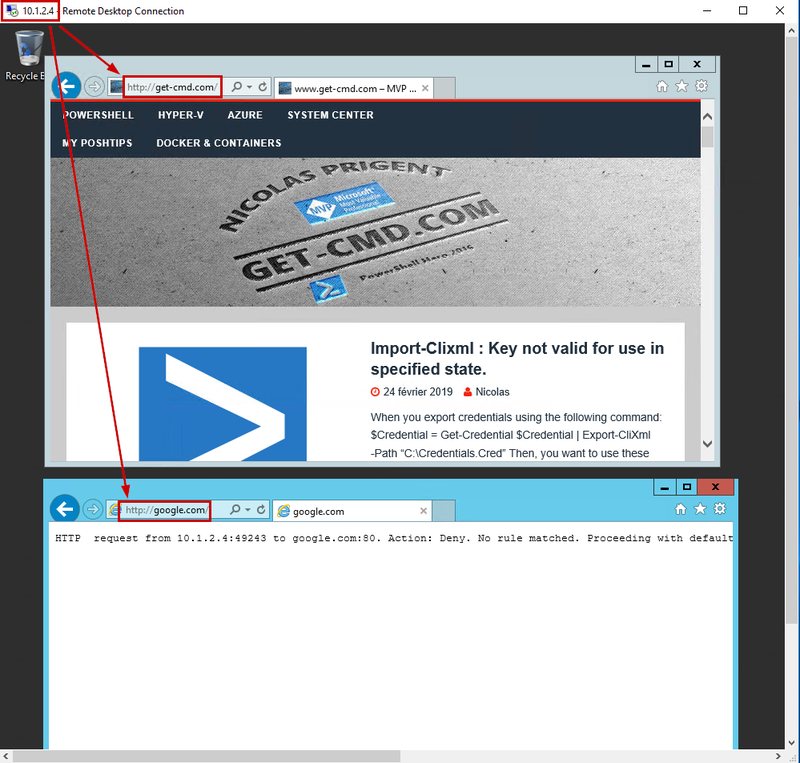 Open the Azure portal and click Resource Groups. This subnet will contain a server. In this article, the address range is 10.1.2.0/24. 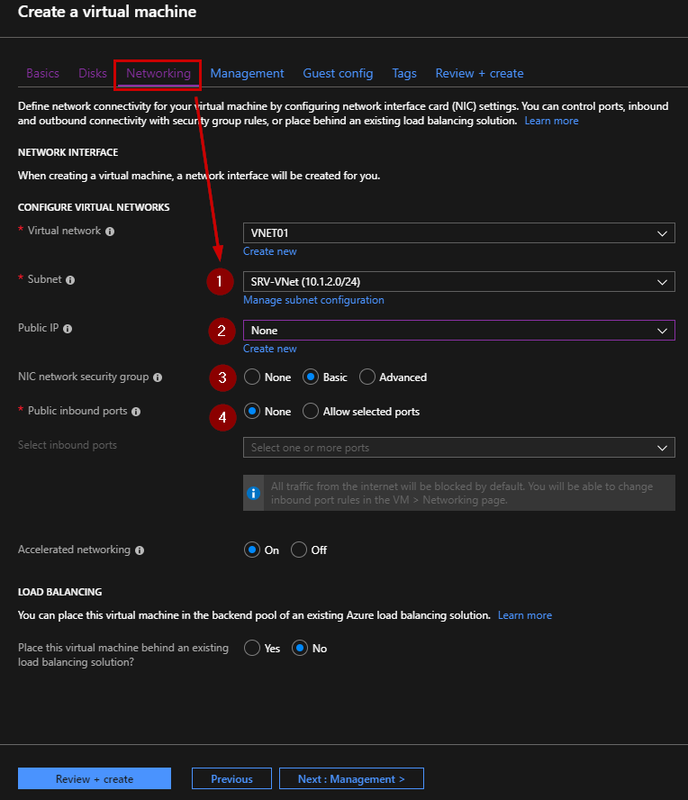 Repeat this step to create the subnet for the Jump server (10.1.3.0/24). At this step, we created a Resource Group and a Virtual Network including three subnets. Now, we just need to create two Virtual Machines. The first one is the Jump server that will be used to connect to the second Virtual Machine. The Jump machine is called “JUMP01” and the server is called “SRV01”. 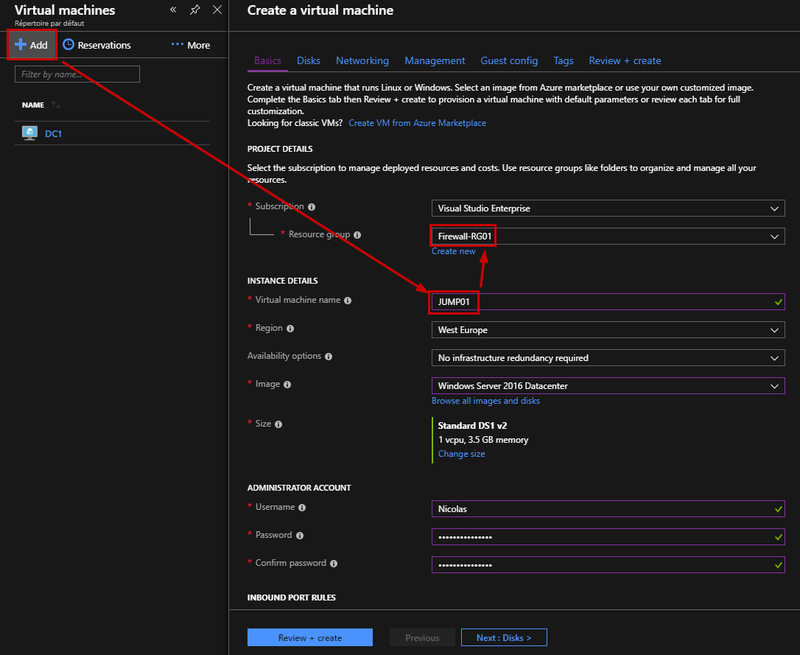 Create a new Virtual Machine using the Azure wizard and do not forget to add this Virtual Machine in the Resource Group previously created. In the Networking area, select the Jump subnet and create a new Public IP Address in order to access to the jump server from the Internet. You just need to allow the RDP Protocol. 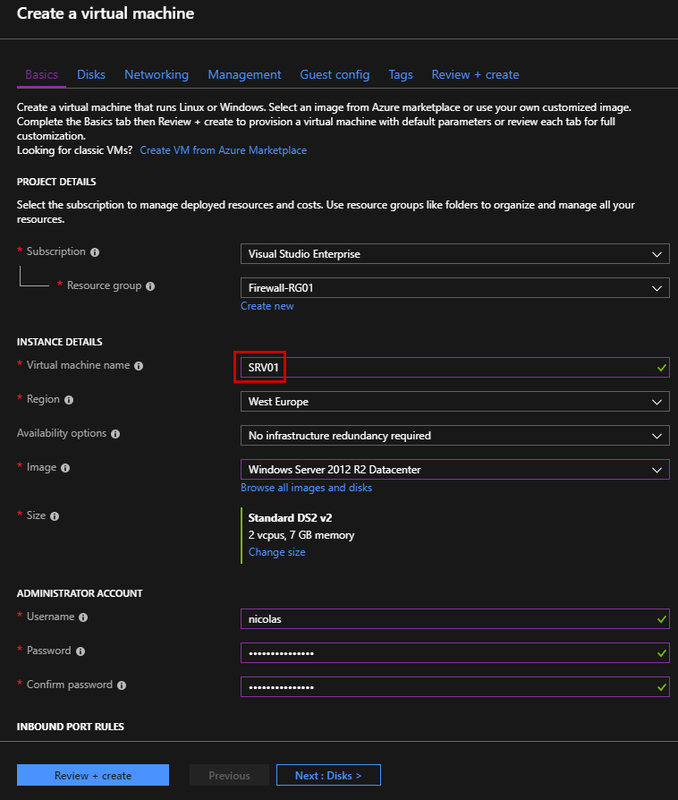 Repeat this step to deploy the SRV01 Virtual Machine. 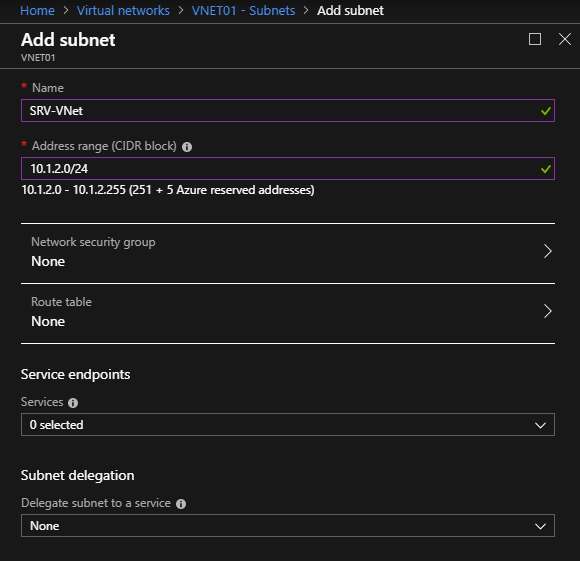 This Virtual Machine must be located in the “SRV-VNet” subnet and you do not need to open any public inbound ports. 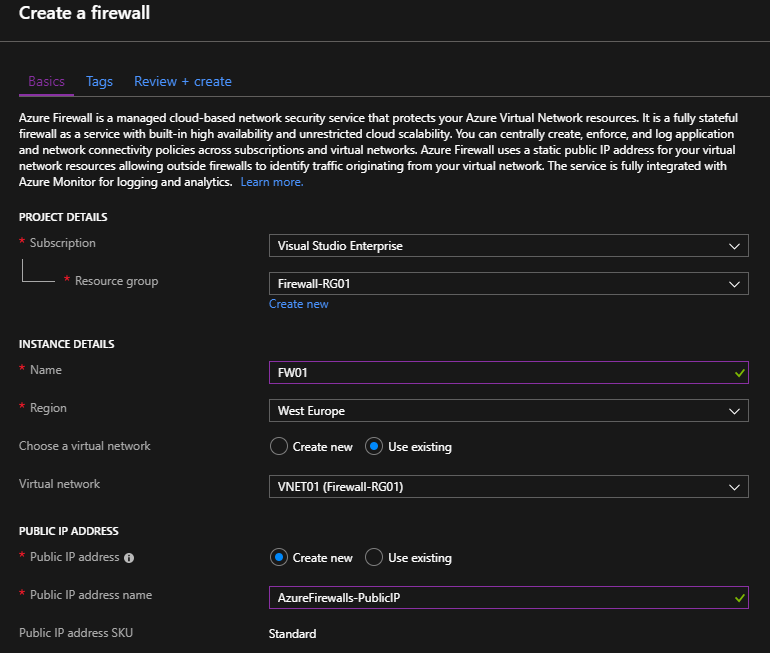 Once the Firewall is created, note the private IP address in the overview section, because you will need it later. 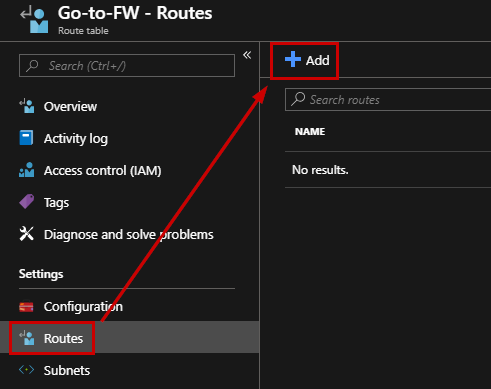 Create a new route table called “Go-To-FW”. 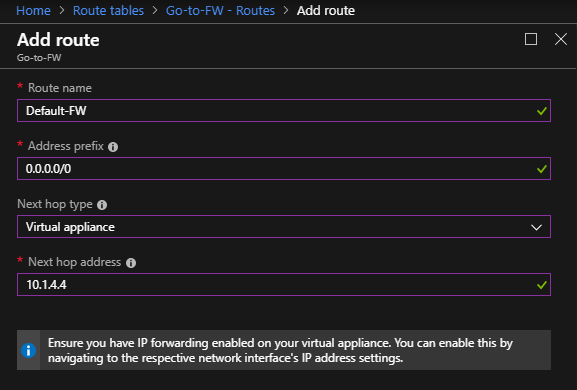 This route table will contain the default route that your server will choose to route the traffic. Enter a friendly name for this rule, then set a priority and select the action (Allow or Deny). Next, you must indicate the source addresses, the protocol and the target FQDN. In my case, I want to allow web traffic to my personal blog from the SRV01 Virtual Machine. 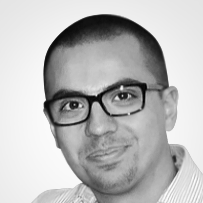 To resolve the FQDN, the machine must be able to contact DNS servers. In this article, I created a network rule to allow the DNS requests from the server subnet to the OpenDNS Servers. Now, you must be sure that your machine will use this DNS addresses to resolve FQDNS. Go to the network interface, and add custom DNS servers. Do not forget to reboot the machine in order to take effects. 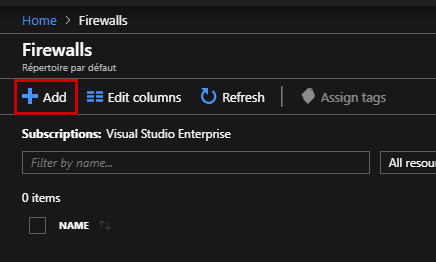 Now, it’s time to test our Firewall rules! First, we need to connect to the Jump Server from the Public IP Address. Then, I can start a new MSTSC window to connect to the SRV01 machine using the private IP Address. 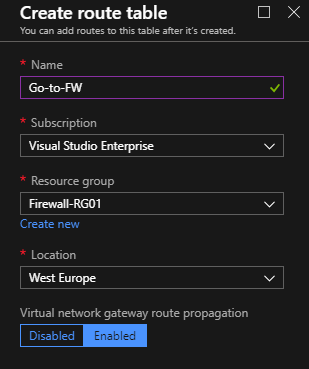 The last step is to check the application rule previously created in the Azure Firewall. I just need to open a web browser and type the website URL. In my case, I can confirm that my blog is responding but if try to browse Google, an error message appears. I should create an application rule to allow www.google.com. 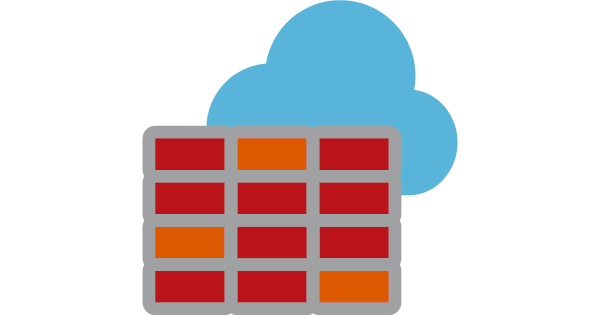 Thanks to Azure Firewall, you can very easily and quickly protect your Azure Resources. 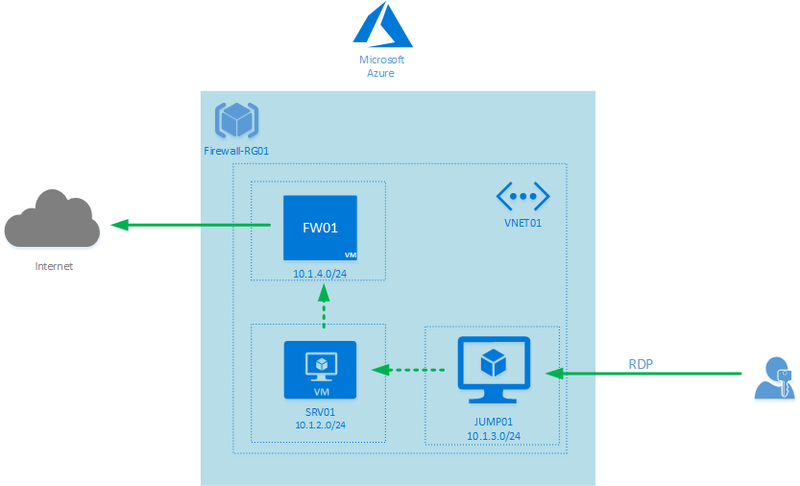 You can also automate tasks using Azure PowerShell. 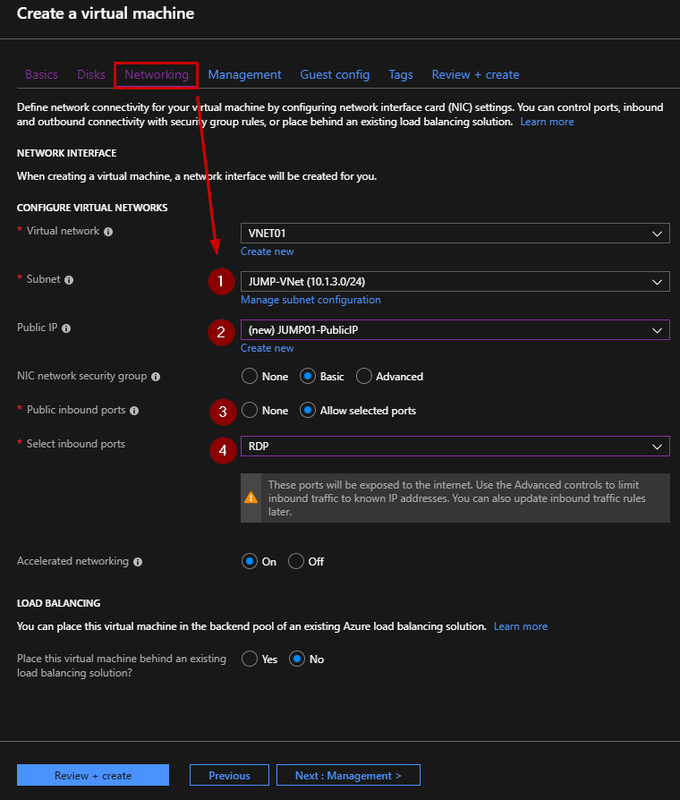 Azure Firewall allows you to create Application Rules and Network Rules to control the inbound and outbound network traffic.